I always recommend natural toothpaste, especially toothpaste without fluoride and without sodium lauryl sulfate. And now I’m going to step it up and recommend using toothpaste that doesn’t have certain antibacterial compounds. That might sound kind of crazy since you’d think you want to brush your teeth with antibacterial agents to kill bacteria. However, as recent research published by a team of researchers at the Department of Arts & Sciences at the Washington University in St. Louis has shown, one of the most popular antibacterial ingredients in most toothpastes actually leads to the growth of bacteria. That ingredient is called triclosan and I recommend if your toothpaste has that ingredient you get rid of it immediately, here’s why. The research team at the Department of Arts & Sciences at the Washington University in St. Louis did two things to see how triclosan affected bacterial growth. 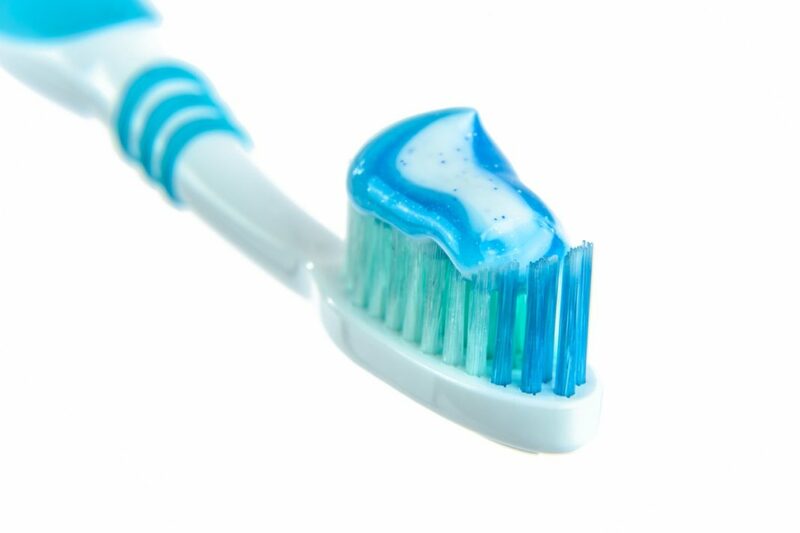 In one study they gave a bunch of mice the amount of triclosan that mimicked what you’d expect to find in a person’s body using toothpaste with triclosan. When the treatment was over they analyzed the mice and discovered that mice who drank triclosan had 100x higher urine levels of bacteria than the mice that didn’t. In addition to that, they also had far more bacteria embedded in the lining of their bladders as compared to the mice who hadn’t drunk water with triclosan. Then, in the next experiment, they tested triclosan on bacteria in vitro (a test in a test tube). What they observed there shocked them, as well as me. “The researchers treated Escherichia coli (E. coli) and MRSA bacteria with these antibiotics in vitro and examined the cells’ behavior. One group of bacterial cells was exposed to triclosan beforehand, while the other group was not. “[T]triclosan increased E. coli and MRSA tolerant to bactericidal antibiotics as much as 10,000 fold in vitro,” the authors report. “Triclosan increased the number of surviving bacterial cells substantially,” Prof. Levin continues. “Normally, one in a million cells survive antibiotics, and a functioning immune system can control them. But triclosan was shifting the number of cells,” the researcher explains. If that freaked you out, then you ought to see this. In addition to those studies, the researchers also discovered that triclosan works with a molecule called ppGpp to inhibit how well some antibiotics work to kill bacteria (this could be part of the reason antibiotics don’t work nearly as well as they once did). When triclosan and ppGpp “team up” it interferes with the formation of new cells, AND it also interferes with the ability of certain antibiotics to kill bacteria. It’s for that reason that I can’t endorse mainstream toothpastes. There are numerous options for natural toothpastes. We carry a few on our store and if you want to head over to healthasitoughtobe.com you can see what a few of them are. Bottom line, if you want to stay healthy and keep bacteria levels down ditch the Colgate and get some Tom’s toothpaste or something similar.